NEW Limited time Offer: New retail accounts that register between Sept. 1, 2018 and Oct. 31, 2018 will receive a 10 percent rebate on their first qualifying order, plus a free snowmobile shelf display and counter mat. Orders must be $350 U.S./ $450 CAN or more and include at least one case of INTERCEPTOR® Synthetic 2-Stroke Oil (AIT), DOMINATOR® Synthetic 2-Stroke Racing Oil (TDR), 2-Stroke Injector Oil (AIO) or Formula 4-Stroke Power Sports Synthetic Motor Oil (AFF) to qualify. So, you want to sell and stock Amsoil products at your store or shop. Maybe your looking for info on Amsoil’s retail store account? Do you own a Automotive Service Center, Oil Change center, Powersports or Hardware store. Possibly a Performance Racing supply store, Gas Station, Motorcycle or Marine Shops and qualify to set-up AMSOIL retail accounts to offer AMSOIL products to your valuable customers. The AMSOIL Retail Account program is designed for businesses which generally operate out of a storefront and have regular hours and a public access. These businesses normally must sell associated merchandise at retail prices or provide products as part of a service. Note: A qualified Retail On The Shelf Account (ROTS) must not operate out of home or be located at a residence, and AMSOIL should not be the primary business.If you operate out of your home, or only wish to sell Amsoil specifically, then you will want the Amsoil dealership account. Click HERE to learn more about the Amsoil dealership and how to sign up. <<< Price list compares wholesale and suggested retail on every Amsoil product! AMSOIL retail accounts in the continental U.S. receive free standard ground shipping for order totals of $300 or more on products stocked in AMSOIL distribution centers (DCs). If the order total is less than $300, a flat shipping rate of $9.99 applies. Routing requests may be included with normal freight orders. However, because AMSOIL INC. uses the most economical method of transportation, the final decision on routing pre-paid freight orders rests with AMSOIL. Additional charges may also apply for lift gate, call before delivery and other special services. See the U.S. Wholesale Price List (G3500) for details. If your business qualifies, let’s get you started by filling out your business information HERE! • The account set-up is totally free • There are no minimum order requirements! • Not to mention free online advertising! 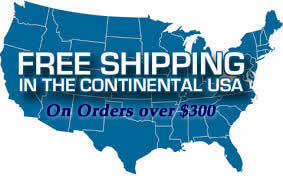 Retail accounts receive free shipping for orders totaling $300 ($400 Canada) or more. If the order total is less than $300, a flat shipping rate of $9.99 ($11.99 Canada) will apply. Accounts that pick up their orders from an AMSOIL distribution center or employ group-ship or freight-collect options receive a 2 percent discount on their order total. Fill out the form on the application page and we will process you application within 2 business days, M-F.